Egypt’s Cabinet approved on Wednesday a bill to impose a prison sentence on anyone who deals with foreign currency outside certified banks and institutions, or otherwise breaks the foreign exchange law, Reuters reported. The bill, which is an amendment to law 88 of 2003 concerning foreign exchange operations, stipulates a prison sentence of three to 10 years for unlicensed foreign currency dealers and a sentence of six months to three years for those breaking the foreign exchange law. The proposed bill also includes the confiscation of the amount being trafficked and the payment of a fine equivalent to the sums confiscated, according to privately-owned Al Shorouk. Another bill proposed by the Cabinet grants the central bank the authority to determine the conditions of dealing in foreign currency for certified companies and entities. The central bank would have the authority to cancel the license of any entity that breaches the regulations, in addition to imposing a fine of at least one million pounds. Egypt has been struggling to regain its rapidly depleting foreign currency reserves since the ouster of Hosni Mubarak in 2011. 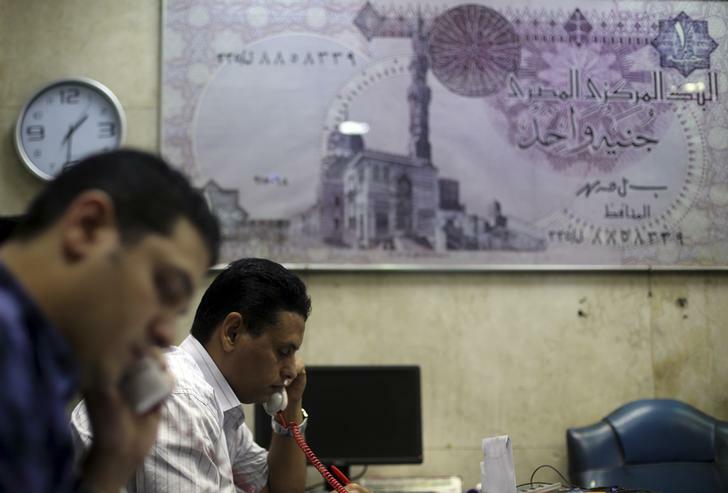 In the five years since, Egypt’s foreign reserves have gone down more than 50 percent. Earlier this year, Amer decided to devalue the pound by 14.5 percent against the dollar. However, the decision only curbed unregulated trading for a short period of time, after which the black market rates continued to rise steadily.